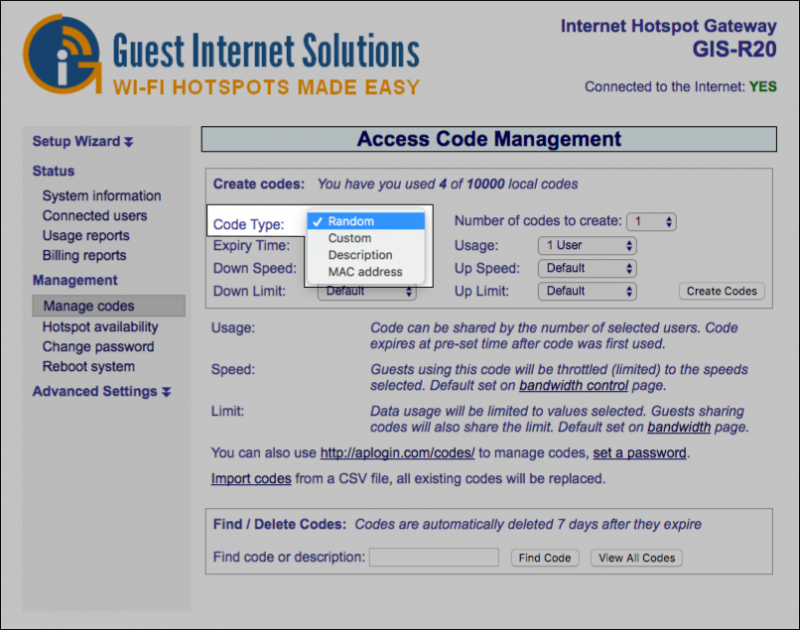 If you want to control user's access to the internet all Guest Internet hotspot gateways allow guests to log in to the Internet using a pre-generated access code. You can determine duration, data and speed for each code upon creation, when the time expires the code cannot be reused. • Random: The unit will automatically generate a unique 6 character code. • Custom: You can create your code (the length limit is 10 characters). • Description (pro units only): You can write a description for a randomly generated code. 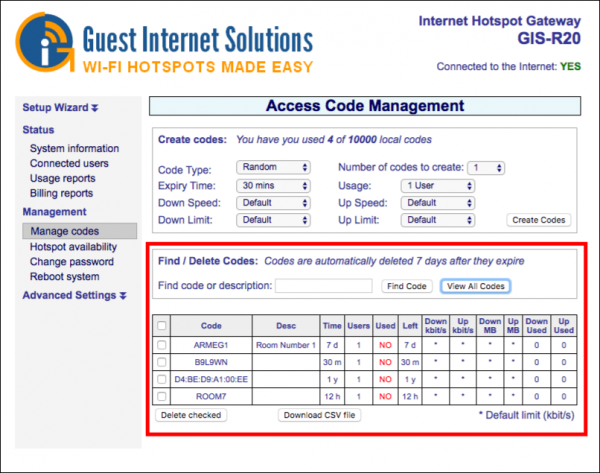 • MAC Address (pro units only): You can manually enter a device's MAC address. This device will then automatically be allowed on the Internet once connected. 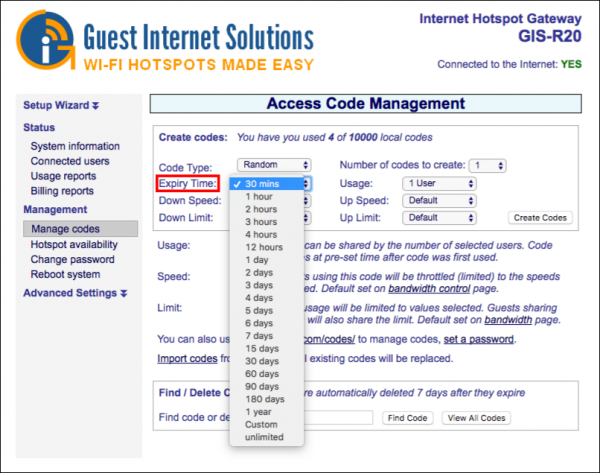 The "Expire Time" option limits how long the user(s) will have Internet access using a code. 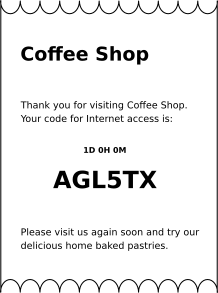 Different codes can have different time limit. 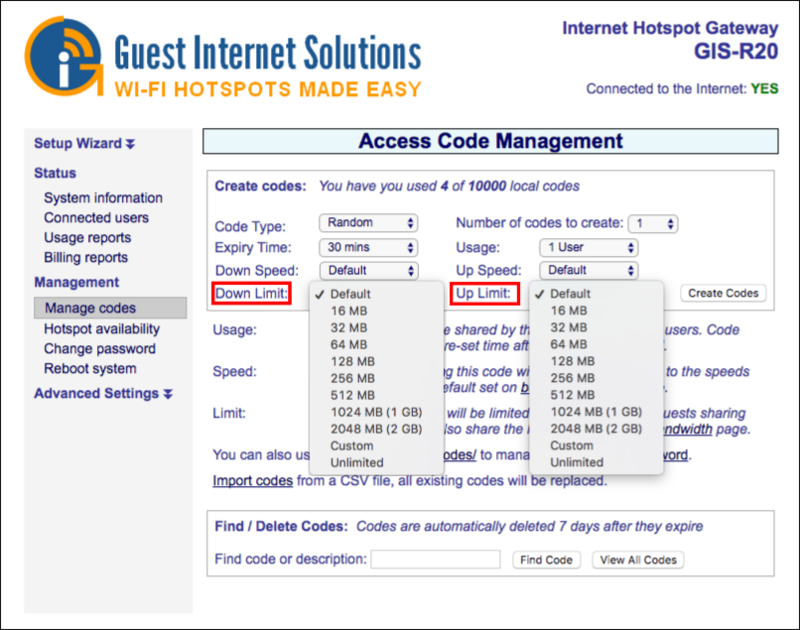 The "usage" option limits how many users can have Internet access using the same code. 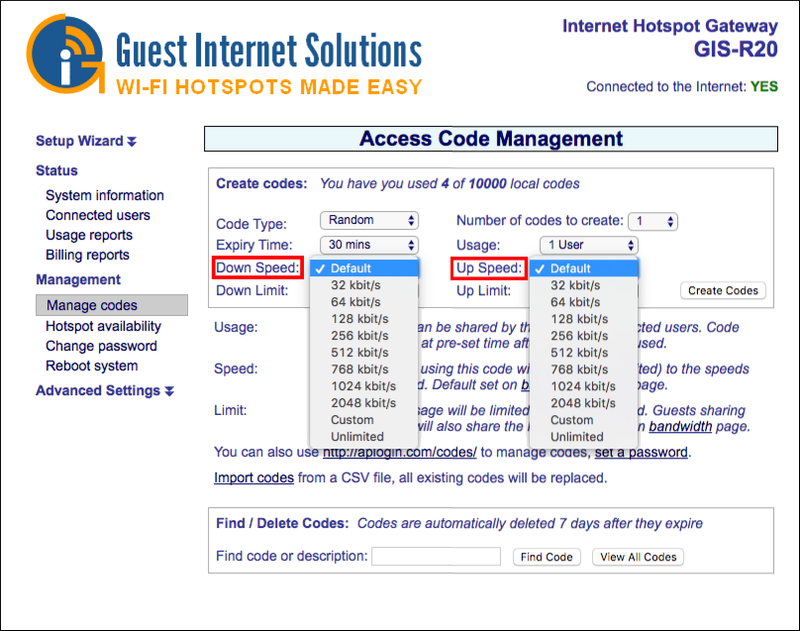 "Down Speed" and "Up Speed" options, guests using this code will be throttled (limited) to the speeds selected. You can limit the data Download and Upload. 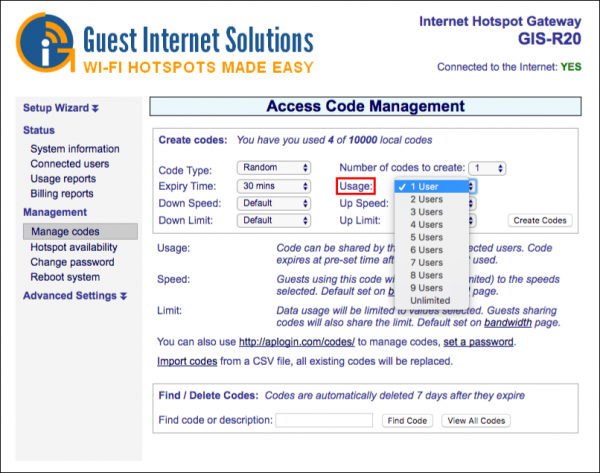 Guests sharing codes will also share the limit. 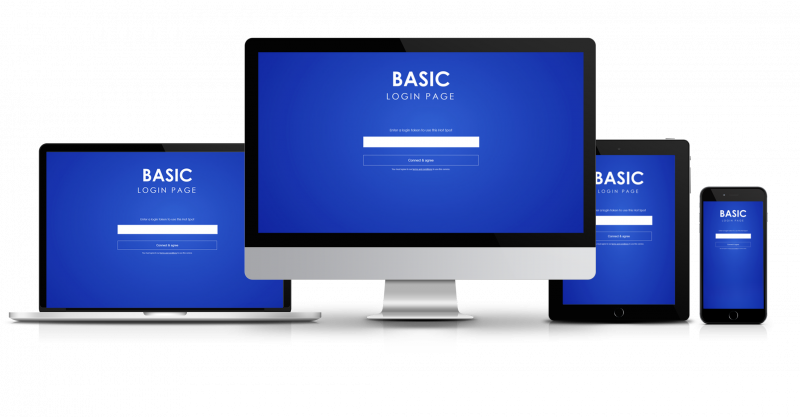 It will be displayed on the user's device a "Custom Login Page", the page will display a space where the user needs to type the code and therefore connecting to the Internet. You can delete a code that is not in use any more or manage the codes being used (check the limits a user still have available, how many codes as in use...). Codes can also be printed using the GIS-TP1 ticket printer.